York City Supporters Trust acknowledges the football club board’s statement of 1st May 2018 regarding there having been no formal offers to acquire JM Packaging’s 75% shareholding. The Trust encourages the club directors to prepare a break-even budget for next season as would be prudent in any business. Given the legacy of systematic over-spending during the past 12 years, we do recognise the significant challenges that this may present. However, the Supporters’ Trust firmly believes that the football club can and should operate within its means and that it’s not sustainable or possible to continue borrowing millions of pounds. The club’s recent history has shown that throwing money at the problem doesn’t translate into success on the field. There is simply no business case to operate at a loss. Shortly after Jason McGill announced that JM Packaging’s shares were being offered for sale, the Supporters’ Trust made a written request for a meeting with the football club’s board of directors. The Trust proposed an agenda intended to explore ways we could work positively with the new board and open discussions regarding the long-term ownership and operations of the football club. We are disappointed to have received no reply from the club’s directors and a rather negative and un-cooperative response from the club’s accountant Steven Kilmartin. His email included a demand for the Trust to provide its plans for the funding of the football club for next season. Despite being under a long-established contractual obligation, the football club board has not provided the Trust with any financial information for several years. The Trust indicated that whilst it would be happy to assist in reviewing the budgets it would require copies of certain documents to properly assess the situation with its professional advisors. To date, no information or reply has been received by the Trust. The Supporters’ Trust recognises that JM Packaging does not wish to continue as majority shareholders in the football club. As such, the Trust has begun development of a plan for the future ownership, operations and community outreach of the football club. The primary objective of this initiative is to provide a blue-print for a sustainable, successful and debt-free professional football club in the City of York. Whilst we appreciate the significant challenges faced by fan-owned football clubs, the plan will seek to minimise financial risk, promote community engagement and provide long-term stability for the club. Whilst nobody can guarantee success on the pitch, we believe it’s the right time to bring decades of autocratic control of our football club to an end. Drawing on supporter surveys and workshops, statistical data, the experiences of other clubs & trusts and the expertise of our professional advisors, the plan is expected to be presented at the next Trust AGM in Nov/Dec 2018. The Trust recognises that execution of this plan will only be possible with the full support of all fans and the wider community. It will also be dependent on the willingness of the current majority shareholder to leave a positive legacy upon his departure. Organising a ‘Volunteers Evening’ to capitalise on the enthusiastic support offered by members after the Trust SGM. Discussions with two parties who expressed interest in a takeover of the football club, neither of which resulted in anything concrete. Contacting City of York Council with a view to a meeting in May. Co-ordination and planning of various fundraising initiatives. Liaison with Supporters’ Direct, The Football Supporters Federation and other football bodies regarding the current situation at the club. Seeking legal advice from our solicitors regarding several contractual and constitutional matters. The Trust’s primary purpose is to act as guardians of the club for all York City supporters and to ensure the provision of professional football for the benefit of the local community. Following the Barbican vote of 2006, these objectives were enshrined in the contractual agreements between the Trust, Club and JM Packaging. In accordance with these agreements, the Trust is duty bound to meet certain obligations in the best interests of the football club. Subject to ongoing legal advice and funding considerations, the Trust intends to pursue all necessary avenues to protect the football club’s interests. As a not-for-profit Community Benefit Society, the Trust are entirely dependent on contributions from fans and the wider community. If you can give your time or money, please get in touch with us at info@ycst.org.uk, join the Trust via our website or give as much as you can at www.ycst.org.uk/donate. We would particularly welcome regular monthly donations, which enable us to plan ahead more effectively. 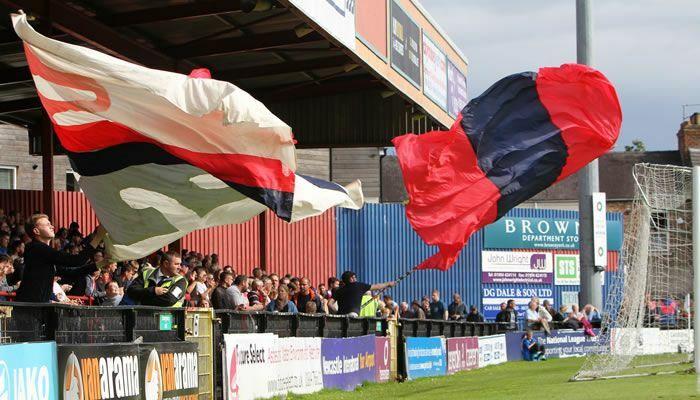 We call on all York City fans to unite behind the Trust to deliver a new, more positive and brighter chapter in York City Football Club’s history.